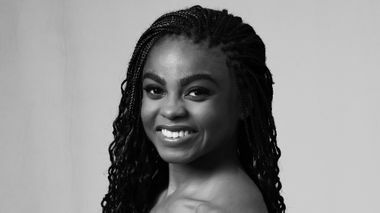 AMARACHI VALENTINA KORIE (Baltimore, MD) began her formal dance training at Baltimore County Youth Ballet. She is an alumnus of George W. Carver Center for the Arts and Technology and graduated from the Ailey/Fordham BFA Program as a Gates Millennium Scholar. 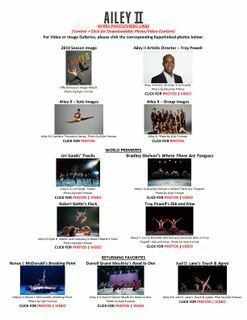 Ms. Korie trained on scholarship at The School at Jacob’s Pillow and The Ailey School and has performed works by choreographers Robert Battle, Kyle Abraham, Darrell Grand Moultrie, Linda-Denise Fisher-Harrell, and Nathan Trice. She also appeared in Alvin Ailey’s Memoria during Ailey’s 2016 and 2017 New York City Center seasons. Ms. Korie is a two-time regional NAACP ACT-SO competition gold medalist and a Maryland All-State Dance awardee. 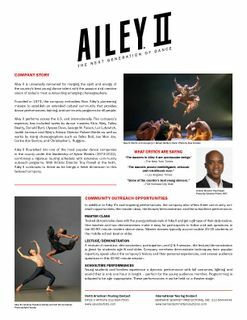 This is her first season with Ailey II.